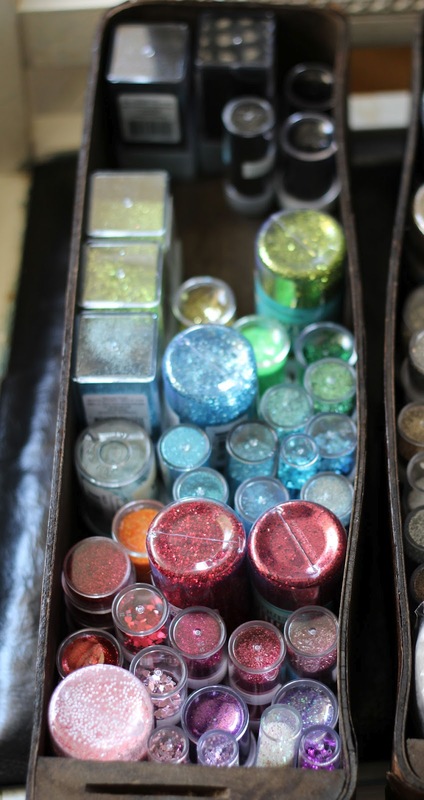 things that shine: sewing machine drawer organizers.... glitter! 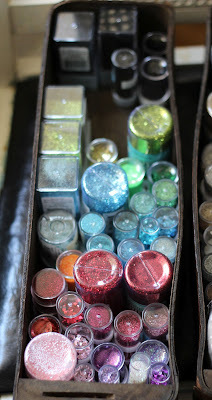 sewing machine drawer organizers.... glitter! 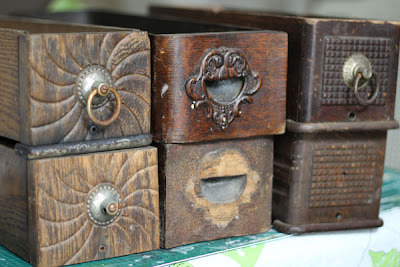 On my birthday I bought some wonderful, banged up vintage sewing machine drawers. Was not sure when I bought them what I would do with them, "put stuff in them!" 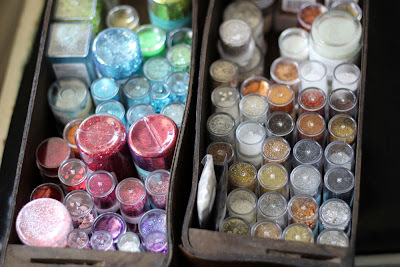 was what I told Paul. 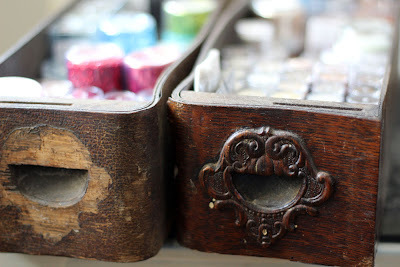 I had planned to paint them and repair some of the broken or missing hardware, but instead have put two of them to use, as they are. 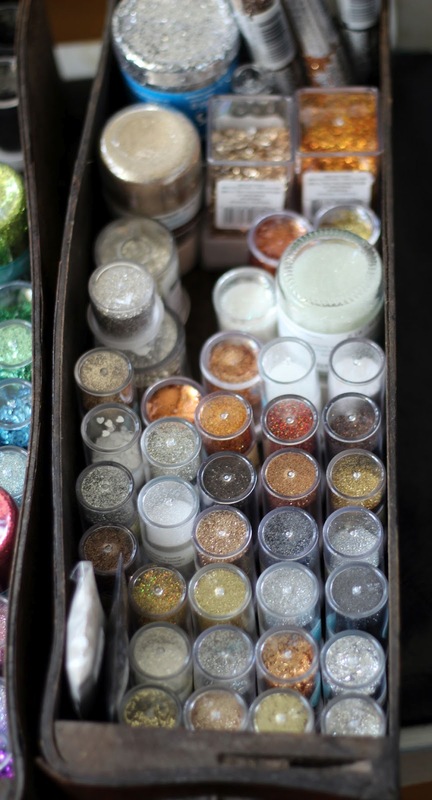 One box for metallics and white, and the other for every other colour, plus black.